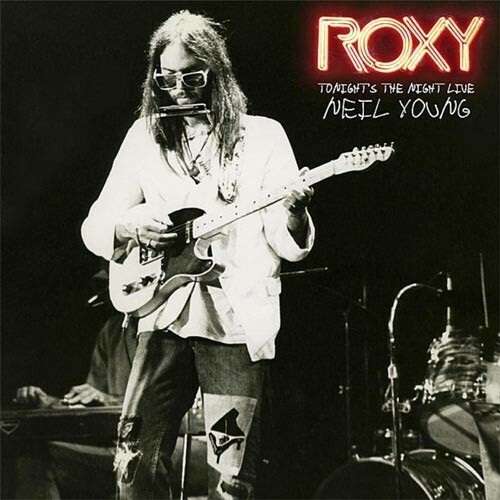 One of the most sought-after recordings from his vast archives, Roxy - Tonight's The Night Live. This was the first public performance of many of the songs that would make up Young's seminal album Tonight's The Night, which would not be released until June 1975. The album's final track "Walk On" would not appear until the release of On The Beach, in July 1974. Young would be the first artist to christen the stage at what would become one of the world's great clubs, The Roxy Theater on the riotous Sunset Strip, right next door to the already infamous Rainbow Bar & Grille. The shows took place on September 20-22, 1973. Produced by Young and the late David Briggs, these resultant recordings were mixed by John Nowland with updated post-production and mastering by John Hanlon - along with Chris Bellman - at Bernie Grundman Mastering using the original analog master tape source. Close your eyes and you'll be right there in that dark, smoky, 500 capacity room in West L.A. on a hot summer night in 1973. Tonight's The Night would go on to be named one of Rolling Stone's 500 Greatest Albums Of All Time, and universally praised for its dark honesty and unapologetic raw delivery. The very same can be said for Roxy - Tonight's The Night Live. Young has previously described the performance by saying: "We really knew the Tonight’s The Night songs after playing them for a month [in the studio]. So we just played them again, the album, top to bottom, without the added songs, two sets a night, for a few days. We had a great time."